We are currently accepting application forms for the 2018-2019 school year. Please fill out ALL fields of this form. If you have any questions or concerns you'd like to discuss with us, please contact us. EARLY BIRD DISCOUNT UNTIL August 8. I am registering for the Sunday program 9:45-Noon. I am registering for the above Sunday Kindergarten program - No cost. If yes, who was the Rabbi? As the parent(s) or legal guardian of the above child, I/we authorize any adult acting on behalf of Chabad of the Five Towns Hebrew School to hospitalize or secure treatment for my child. I further agree to pay all charges for that care and/or treatment. It is understood that if time and circumstances reasonably permit, Chabad Hebrew School personnel will try, but are not required, to communicate with me prior to such treatment. I hereby give permission for my child to attend all field trips and outings sponsored by Chabad of the Five Towns Hebre School. 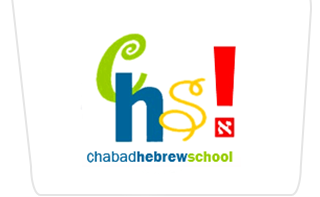 For your convenience, you can now pay for Hebrew School online. This page uses a secure connection and your information will not be shared with anyone.